Early 20th century rag stuffed toy. 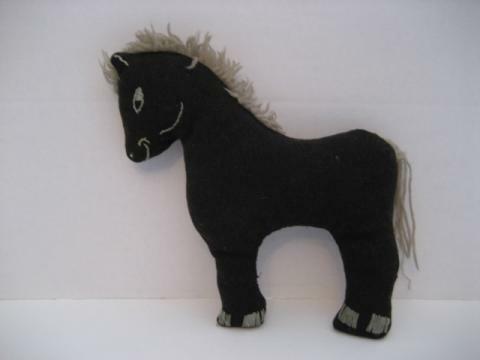 Black wool with stitched features and yarn mane and tail. PA origin. Measures 8 1/2" long by 9" high. No losses.